Corinium Colour is the brand that houses digital and litho print, offering a full design and artwork service. We offer professional printing for short and medium run jobs using digital or litho printing methods, depending on product, quantity and budget. 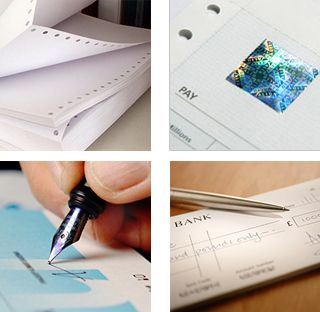 We can print on watermarked paper, customise your logo or create a truly personal touch. Corinium Colour can suggest the best print outcome for the budget that you have in mind, and we always provide our customers with a high quality service, delivered on time and with no hidden costs.